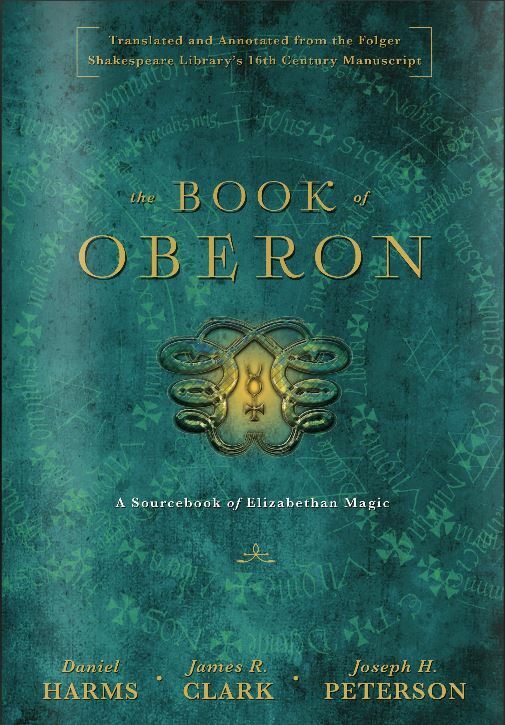 The Book of Oberon: A Sourcebook of Elizabethan Magic, edited by Daniel Harms, James R. Clark and Joseph H. Peterson was published by Llewellyn in April this year, and is an edition of Folger MS V.b.26, a late sixteenth-century English compendium of necromantic magic in Latin and English. I am always pleased to see early modern magical texts make it into print, and for them to be edited as expertly as this is particularly satisfying. As the editors observe, there are few such texts in print: they mention Richard Kieckhefer’s edition of the Munich Handbook, the grimoire of Arthur Gauntlet and Willy Louis Braekman’s edition of a magical book in middle Dutch from the Wellcome Library. To this list may now be added my own edition of The Cambridge Book of Magic by Paul Foreman, which appeared in January. Indeed, The Book of Oberon shares many similarities with The Cambridge Book: it begins with a general treatise on the working of necromancy (here entitled Theurgia), and contains experiments for the same purposes (winning at dice, seeing spirits, winning favour with rulers, identifying thieves, making stolen items return, etc. ), as well as conjuring some of the same spirits such as Mosacus and Sibylia (here identified as a fairy). Although the two books were composed a generation apart (The Cambridge Book was written between 1532 and 1558 while The Book of Oberon was composed between 1577 and 1583) they essentially embody the same variety of ‘clerical necromancy’ based on corrupted rituals of the medieval church. The differences between the two books are also instructive; the Folger MS is a lot longer and more richly illustrated than Paul Foreman’s treatise, although the experiments in the Folger MS are generally shorter, and the vernacular predominates in The Book of Oberon in contrast to The Cambridge Book, about two thirds of which is in Latin. The author of the Folger MS also wrote out all Psalms in full (unless these were supplied by the editors), while Paul Foreman assumes that the reader will have a psalter to hand. The editors of The Book of Oberon have done an excellent job of transcribing and translating the author’s rather weak Latin, which appears with a translation in parallel columns in all cases. I was also pleased to see that the editors saw fit to make clear when they were expanding abbreviations in the Latin text – this is important because not doing so can allow errors of transcription to escape notice (not that I have found any such errors in this edition). My only regret about the text is that the editors modernised the spelling of the vernacular sections without placing the original spelling next to it, but this is admittedly less of an issue with a text dating from the 1570s and ’80s when the grammar and vocabulary of English was closer to modern English than it was in the 1530s. The decision to print the entire text in both black and red was an excellent one, and I was very impressed by the illustrations in the text. Instead of choosing to reproduce the original illustrations the editors chose to reconceptualise them as original drawings, which is very effective indeed, and the designs are well-executed, evocative and consistent with the tenor of the text itself. None of these things are easily achieved. 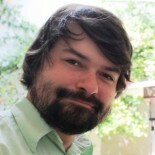 Daniel Harms et al. provide an extensive, scholarly and helpful introduction which sets the original MS in its historical context and discusses issues of dating, authorship and style. The editors aptly describe the book as ‘a magical miscellany’ (p. 6) and note that the author may have added the images of spirits to the text ‘to impress onlookers’ – many of these were copied from woodcuts in a work on monstrous births published in 1569. The Introduction also surveys the magical implements mentioned in the text and the spirits and named individuals mentioned. Overall, The Book of Oberon is a considerable feat of scholarship and it is deeply regrettable that, because it has appeared with a publisher of ‘occult’ books, it is unlikely to receive the attention it deserves from scholars of early modern magic or find its ways into academic libraries. I may be wrong, of course, but my experience is that academic libraries are woefully lacking in the scholarly products of contemporary occultism. Yet true scholarship, as represented here, stands on its own merits. This book is a must-have for anyone interested in the development of ritual magic in early modern England. Thank you very much for the review Dr. Young. It is very much appreciated. It’s a pity that your valuable book appeared so late in the project, as there is indeed much in common. We debated at length whether to include the original spellings and artwork, and decided the web transcript and Folger photos would make that unnecessary. I actually checked, and almost exactly one third of the text is in Latin, but for the printed book we didn’t include the Latin if it was purely descriptive, so it looks like a lot less. BTW, I’m very happy with extra time we took to ensure the transcript was accurate. Thanks, I was going to buy a copy but, I don’t think it will be necessary. This entry was posted on May 12, 2015 by jacobite.